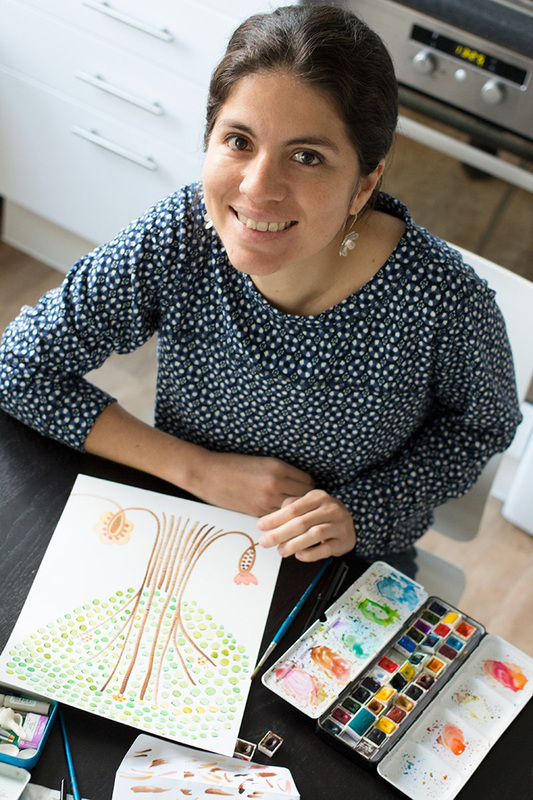 Born in El Salvador, Gabriela Larios has always loved art. After gaining lessons from her mother she went on to study in London. Throughout her career, Gabriela has developed a style influence from anything such as travelling to wildlife documentaries. 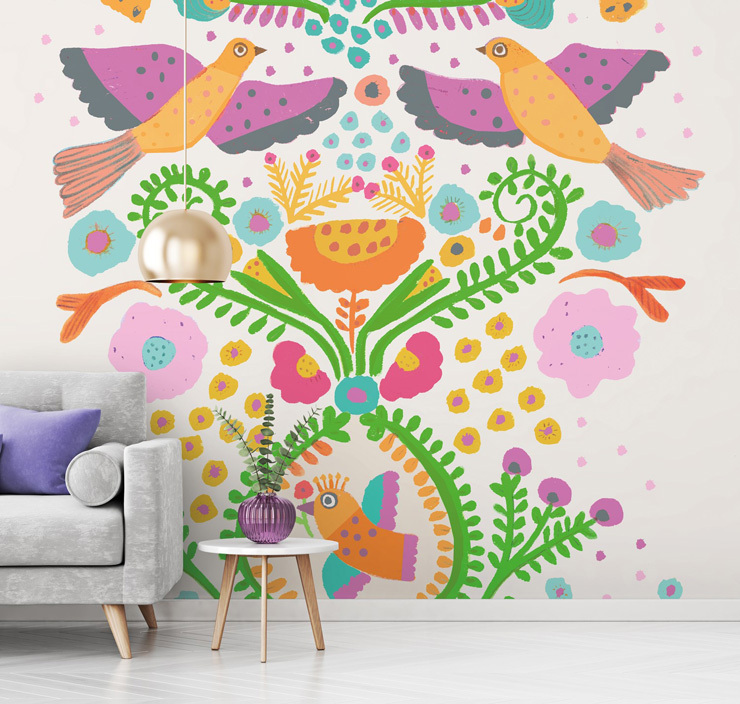 Not only can you enjoy her floral and fauna designs in the form of wall murals, but Gabriela has also illustrated anything and everything from greeting cards to accent fabrics and has even exhibited her artwork. In this exclusive interview, discover the artist behind one of our most playful collections. "My love of drawing, textiles and illustration began when I was little. It was my mother who taught me the first lessons about colour palettes and its various combinations. She also introduced me to the world of watercolours and their use, which is to this day one of my favourite techniques. Flora and fauna were some of my favourite themes and they are still very present among the things that spark my creativity. 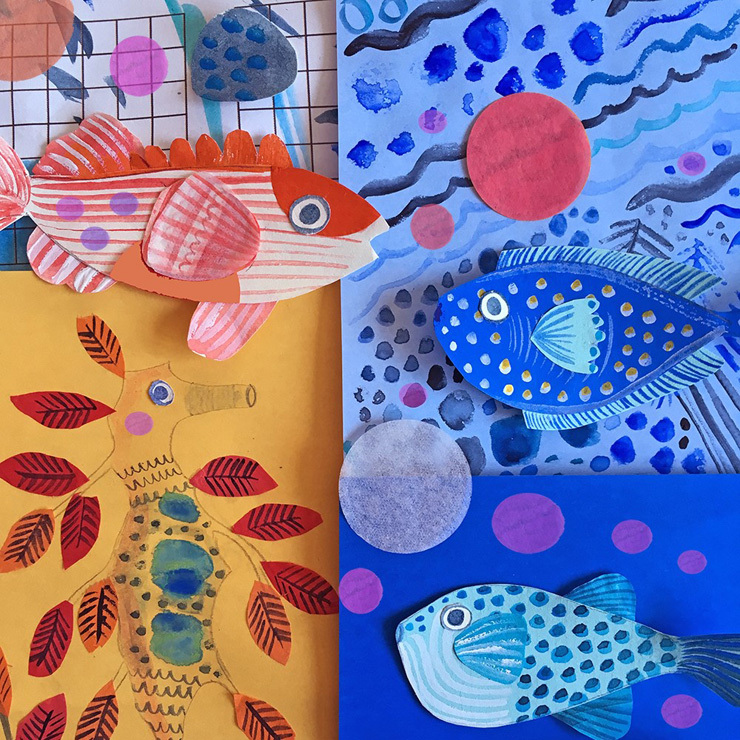 After working a few years in graphic design and obtaining my arts degree in London, I realised that I had a passion for illustration, textiles, patterns and children’s books and continued honing my skills in these areas and working hard independently which is what I always wanted in order to have more flexibility between family and work." "Ideas can come from anywhere sometimes from the most unusual places. I visit platforms like Instagram and Pinterest but try to set up limits as to how much time I spend there as I always feel you can end up being creatively saturated and overly influenced by so many wonderful things you can find out there. I like to travel to different places, meet new cultures, read magazines, watch wildlife documentaries, visit craft markets and exhibitions in London. I draw inspiration from the natural world which I respect deeply and also memories of my childhood in El Salvador: folk tales, folk art and story tales are always present in my work." "The first stage consists of cutting out and painting freely without putting too much pressure on the result. I develop characters, textures and icons making use of collage, I combine elements to form a final composition with the help of the computer. Watercolours, gouache and collage are some of my favourite mediums as I love their organic and spontaneous feel. I also use digital tools like Photoshop, especially for final stages, as sometimes it is easier to manipulate and develop the artwork to your taste." 4. Your work is heavily inspired by the natural world. How do you think design and trends can move hand in hand with the environment? "This is a great question as I think nature is at centre stage of trends at the moment but on the other hand, even if we are celebrating it on our clothes, homes and products I think we can go a step further and do practical things to minimise the impact we have on the environment. I think the power is not only on the companies and the trends but also on the decisions consumers make. We can choose and support brands and products that are environmentally responsible and buy long-lasting things that we really need in our lives. On the other hand, as an artist, I try to make a difference through my art by producing pieces that hopefully people will appreciate for many years, beyond current trends and fashion." 5. Do you have any recommendations about ways in which people can apply your murals in their homes? "I think in general people are free to apply the murals according to their needs and taste. 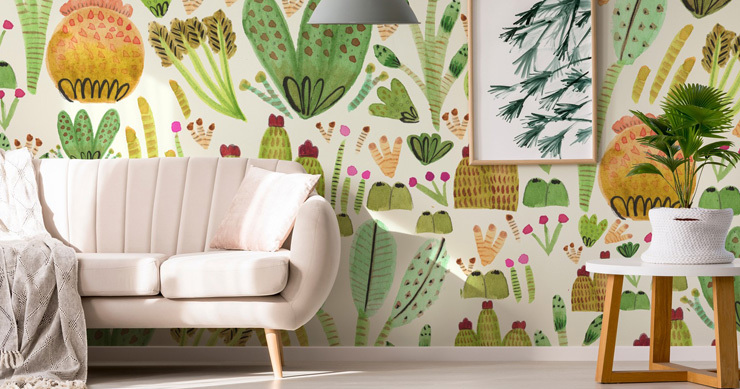 People can combine them with accessories, textiles and furniture whose colour palette somehow compliments the mural but also helps it to stand out. My artworks tend to be very colourful and full of details and therefore my suggestion would be to combine them with other elements and accessories that bring harmony to the room through the use of plain/bold colours." We hope you enjoyed this interview! If you'd like to read more from Gabriela, then you may like to read her post on making a perfect home.